There is growing interest in undergraduate research, given its benefits to students, faculty members, and the institution. For higher education scholars, faculty, and administrators, this book logically synthesizes the literature to demonstrate its impact on facilitation of learning and engagement and to chart a course for expanding and improving these opportunities. 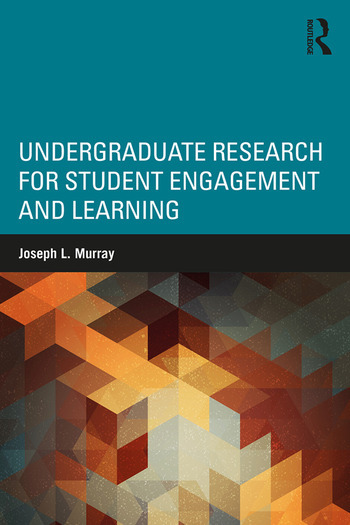 This book provides a comprehensive overview of undergraduate research as a "high-impact practice" in postsecondary education, from its theoretical underpinnings and research-base, to student participation and faculty incentives. This important resource offers analysis of the current state of undergraduate research, explores challenges and unresolved questions affecting undergraduate research, and provides implications for research and practice. Joseph L. Murray is Associate Professor of Education and the Director of the College Student Personnel Program at Bucknell University, Pennsylvania, USA.